Blush and Grey Druzy Pendant Necklace with Pink and Pearl Beaded Chain. 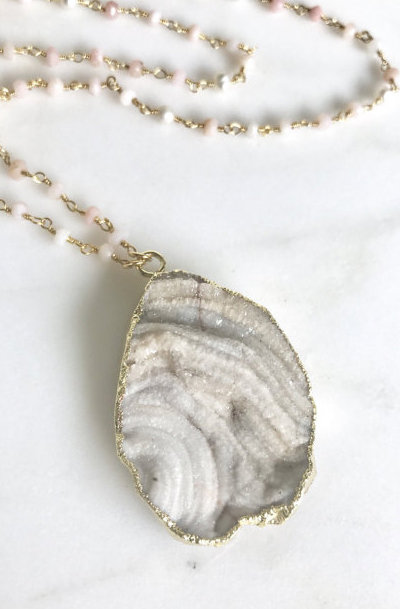 Long Druzy Necklace. Jewelry Gift. Necklace. Long Bridal Necklace. The stone is natural galaxy quartz. The stone measures about 40-48mm. The chain is 14k gold filled and gemstone beaded chain. The necklace is about 29"-30" long plus the length of the stone.